This article looks into the social realities of urban waterfront regeneration projects and how their apparent successes are often inaccurate representations of their outcomes. The post examines two diverse regeneration approaches; i. State-led projects and ii. Organic transformations, to discover how each approach can create varying social outcomes. For clarification purposes, waterfront regeneration is defined here as any large-scale urban renewal project which has taken place along urban coastlines or river banks. The use of the phrase riverside renaissance has become increasingly common over the last few decades and regenerated waterfronts have become the poster image of city advertising campaigns. Many cities have effectively entered an international beauty contest in an attempt to enhance economic prosperity in recent years, and regenerated waterfront quarters have spearheaded this movement. 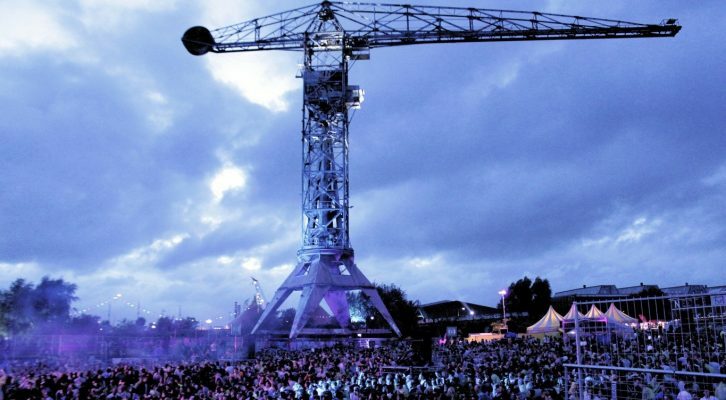 While this article particularly focuses on regeneration projects in Liverpool and Amsterdam, numerous examples can be found from across the world; with Glasgow and Barcelona to name a few. 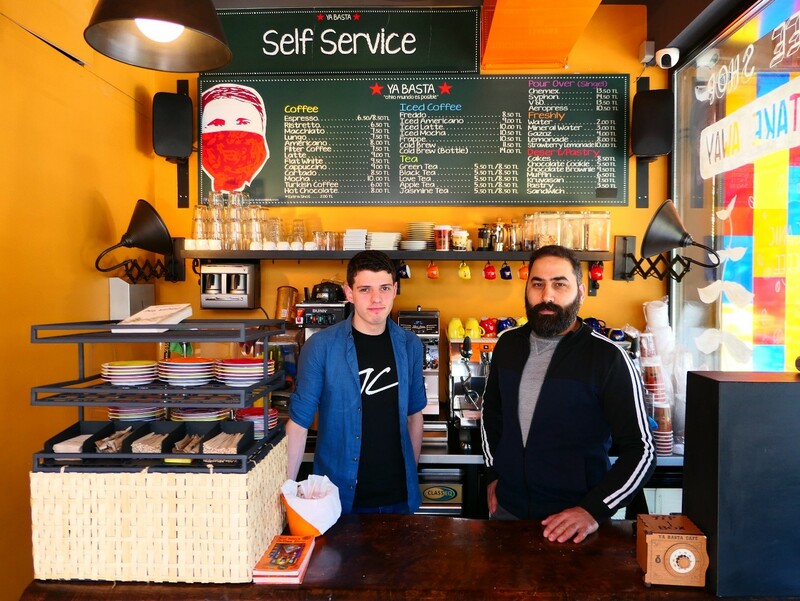 Vacated industrial neighbourhoods and abandoned dock lands, once working-class strongholds, have begun to ironically transform into exclusive up-scale hubs of businesses, high-end services and housing for affluent residents. Cities have traditionally lived with a strong symbolic relationship with their rivers and ports. However, following the process of de-industrialisation the global economy began to restructure and, as such, this relationship began to alter. As manufacturing industries began to vacate docklands there was a new face of capitalism which increasingly began to take its place, the cognitive-cultural economy. This era of capitalism placed importance upon creative and financial industries and, as such, vacant industrial estates became hubs for these activities. Consequently, waterfront regenerations have had a contested history. While they have the ability to redevelop and revitalize deteriorating spaces, they have not always been integrated within the wider city vision. It appears that waterfront regeneration projects can become too imbalanced in their approach, focusing more so on attracting businesses, high-priced housing and potential economic growth, as opposed to sustainability and the needs of existing communities. Effectively, regenerated waterfronts have often become exclusive regions unsuccessful in their pursuit of promoting social equity. The case of Liverpool will provide an example of such a transformation. This post is thus informed by the above assumptions and seeks to discover the key differences between state-led and organic transformation approaches to waterfront renewal. By studying two contemporary case-studies; Liverpool’s Albert Dock regeneration scheme (a state-led project) and Amsterdam’s Buiksloterham redevelopment (a community-led, organic transformation), this article will discuss two diverse regeneration styles, analyse their deviations in approach/motives and detail their subsequent social outcomes. Principal social impacts such as polarization and segregation have been publicised outcomes of recent waterfront regenerations and this post examines how significant the renewal approach is in affecting these social issues. Following the analysis, a discussion will outline potential recommendations, garnered from both approaches, for future waterfront regeneration schemes. Primarily Liverpool’s Albert Dock project, a state-led waterfront regeneration approach, will be discussed. Liverpool is an ideal example of a city which has transformed its former industrial heartland into a contemporary hub of culture and business. 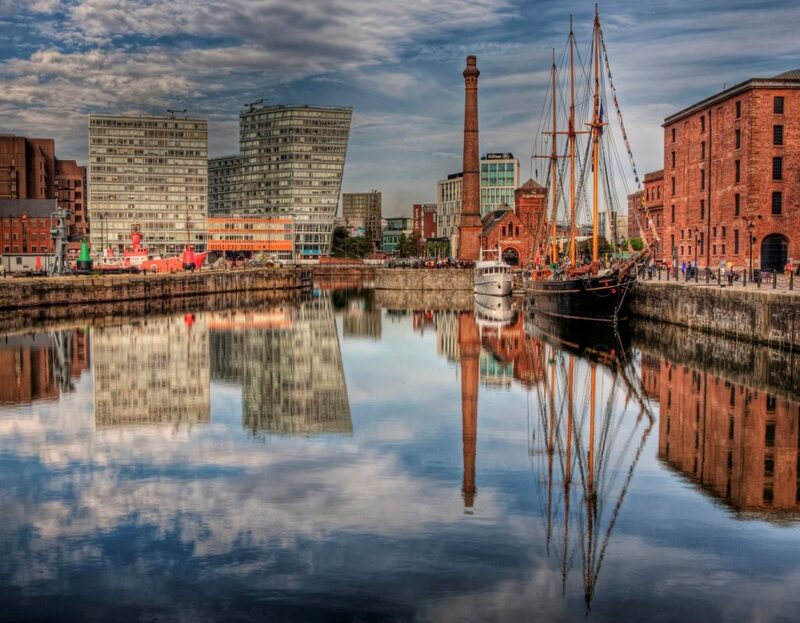 Under an influential urban-policy umbrella in conjunction with national government, Liverpool’s former docklands, which remain in a focal and central part of the city, became the face of tourism campaigns for a revitalized city. However, the project was not met with comprehensive praise. In fact it can be traced to significantly amplifying social inequalities throughout the city. A dockland that once provided employment for a significant portion of the city’s working-class population has been redeveloped into an exclusive neighbourhood. Reflections of Ray Pahl’s 1970s claims of ‘whose city?’ have been echoed in contemporary declarations by local residents of ‘whose regeneration?’. Pahl’s assertions that it is ‘capitalists and urban managers who own and run cities and affect the lives of ordinary citizens in decisive and uneven ways’ can be directly reflected when examining Liverpool’s recent transformation. The project began in preparation of the city hosting the 2008 European Capital of Culture, a year which allegedly boosted the local economy by £800 million. In a city significantly affected by de-industrialization, regeneration projects have focused exclusively on central city and riverfront regions. As such, Liverpool consequently still houses five of the most deprived suburbs in the country. Much of the literature regarding Liverpool’s waterfront regeneration projects highlight the general feeling of discontent with the redevelopment work, despite the noble objectives that were communicated at the beginning of the renewal process. When it was decided that the Albert Docklands should be rejuvenated, local authorities presented a community-integrated plan encompassing the vacated dock and surrounding areas. The plan emphasised the need to attract new jobs that match residents skills, to use the vacant land to address social housing problems and to improve the surrounding environment. However, state government favoured a demand-led approach, emphasising the new economy and attracting new residents. The approach was consistent with the Thatcher regime of urban renewal and has been described as entrepreneurial regeneration in the pursuit of profit. With relaxed planning restrictions, as it was a state-led project, the docklands became unrecognisable. Public participation and community involvement in the planning and decision-making processes were significantly limited, meaning there was little civic input. The conflict between economic and social goals was particularly fierce throughout the project. Of the housing that was developed, it catered for double-income professional couples and, as such, did little to solve the city’s housing crisis. Hotels, restaurants and office blocks, an international cruise-liner terminal, yachts, and a music/convention arena now dominate the former docklands. Plans for further development are similarly in place, with the development of a creative business hub within the docklands being mooted. Ironically, the site of the new creative hub will be the abandoned Tobacco Warehouse. Further exemplifying the transformation of the dockland from an area of working-class industries, to a high-end creative quarter. While a state-led approach to regeneration is capable of developing attractive, long-term plans for deprived waterfronts, the consequential impacts upon local communities can be striking. Not only can they exclude working-class communities from the decision-making process, they can directly lead to social disharmony, as citizens feel physically and socially excluded from areas within their own city. It appears, in the case of Liverpool at least, that central government have created a programme of urban regeneration that could slot neatly into any gentrification textbook. Generic landscapes consisting of upmarket restaurants, hotels and bars, which have little to no cultural attachment, are becoming a common sight in cities across the globe. As Ian Smith, an urban planning academic, emphasised, “projects such as the Albert Docklands lead to the worrying possibility of losing the very things that make Liverpool so culturally special”. Amsterdam’s Buiksloterham regeneration project, on the other hand, highlights an alternative to state-led approaches. Buiksloterham, formerly a key shipyard within the city, lay in a similar condition to Liverpool’s Albert Docklands in the late 20th Century. Abandoned following the processes of de-industrialisation, the city decided that best form of action would be to transform the region in an organic, circular bio-based and sustainable manner. Amsterdam was faced with the question: How does one protect the industrial heritage of the city from the consumptive nature of new capital development? In other words, how can a city sustain a relationship between the old and the new? Following analysis of the Albert Dock regeneration project, it appears the importance of conservation is something which a state-led approach often undermines. 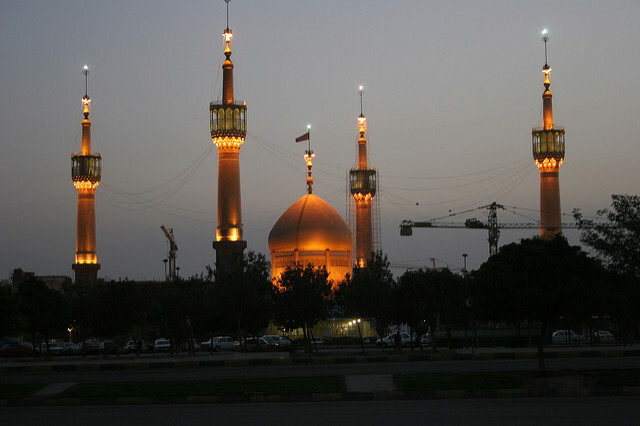 When forced to deal with the pressure of real estate exploitation for capital gain over the desire to save the physical residue of history, state-led approaches have notoriously been seen to cave-in at the prospect of economic expansions. This course of action, as highlighted in the Albert Dock case, can consequently cause huge social inequality amplifications; particularly polarization and exclusion. Although the Buiksloterham approach provides a different attitude, an alternative that allows for new ways of thinking. It principally focused on a community and neighbourhood approach to regeneration, which emphasised social inclusion. 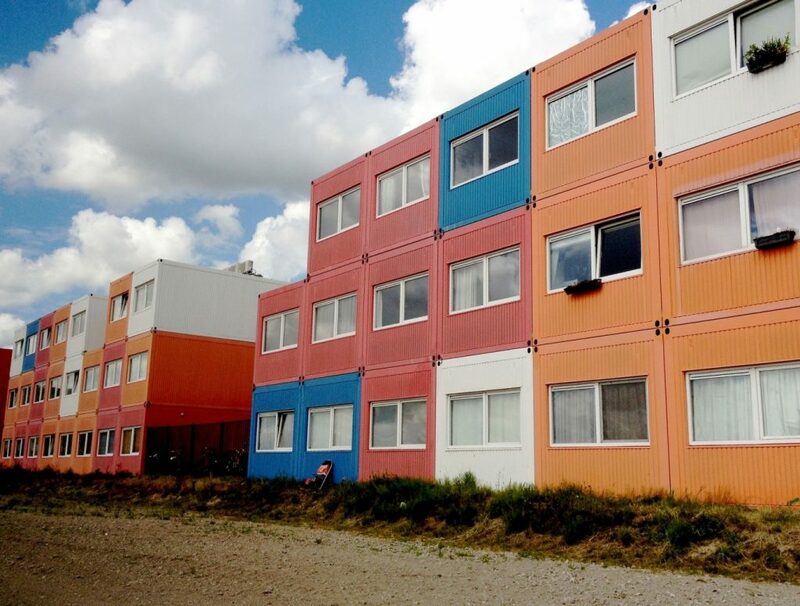 ‘An example of some of the housing in Buiksloterham, created from shipping containers’. Source: Pearl, su maleta & Ciam Flickr. This is not to say, however, that an organic transformation will solely create advantageous outcomes, nor that state-led approaches will exclusively lead to damaging results. This is an issue which will be discussed in more detail in the conclusion. Firstly, it is important to provide a brief introduction to the governance of the project: discussing what actors were involved, how their views were able to influence the development and how the project continues to evolve. Buiksloterham, located to the north of the river IJ, lies within the Amsterdam-Noord urban district. Amsterdam-Noord, like the other 6 urban districts in the city, enjoys a high level of autonomous and devolved urban planning power. Due to the importance of the Northern IJ Banks, however, the central city municipality and Amsterdam-Noord formed a coalition, called Noordwaarts. Noordwaarts, funded and staffed by the municipality of Amsterdam and the district of Amsterdam-Noord, became responsible for the planning of the transformation of Buiksloterham (urban design, land management, land-use planning and regulations, and the realisation of public space and social infrastructure). This coalition was seen as slightly ironic, as the two actors had not always seen eye-to-eye, nor had the smoothest of relationships, in previous times. For instance, Amsterdam-Noord was traditionally a district rooted in industries that turned away from the central city. While some have argued, “the central city once saw in Noord an ideal place to dump undesirable functions” (Dembski, 2013). While a substantial level of funding for the redevelopment (land acquisition, public space and infrastructure, and buying out of companies) came via the central city, the coalition ensured that Amsterdam-Noord maintained significant power in the decision-making process. Similarly, the coalition restricted the need for much national government intervention, meaning Buiksloterham remained a “local area development project” (Dembski, 2013). Civic organisations and citizens were also involved in the development of the project, a key principle of organic regeneration. ANGSAW (Amsterdam-Noord Green City on the Water), a citizen NGO that seeks to stimulate the debate on a balanced spatial and cultural development of Amsterdam-Noord, was involved in the question of the Northern IJ-Banks since its foundation in 1994. The organisation has continuously pushed for mixed-use development along the Northern IJ-Banks, with a particular focus upon affordable social housing and sustainable energy sources. The importance of public and civic engagement throughout the regeneration process is crucial to the organic transformation approach. It allows members of society the opportunity to enter the planning process and voice their opinion. The fact that there has been such high levels of social housing developed within Buiksloterham, as well as the general recognition of the project as a social, economic and environmental success, highlights sustainable benefits which an organic transformation can present. “The area reflects the industrial character of its past with the emphasis on sustainability. It proudly houses a bio-based economy, accentuating the sustainable re-use of raw materials. While there is an emphasis on public space and community areas, business remains a key aspect of the transformation. The intensification results in an increase from 3,000 to, as of today, up to 10,000 jobs. There is a guaranteed 2,700 dwellings (30 per cent social-rental sector) with allotted space for over 2,000 more in the coming years” (Dembski, 2013). The Buiksloterham approach highlights a large-scale regeneration project that continuously places sustainability, both environmental and social, at the forefront of its development. Importantly, this organic/bottom-up approach places significant importance upon social inclusion. A key ingredient which many state-led/top-down approaches often ignore. State-led approaches must place more importance upon embracing sustainability, diversity and community, in the face of the economically-driven forces that are fracturing communities and disrupting a sense of place. Evidently one case-study, Liverpool’s Albert Dock project, can not sufficiently define all state-led approaches. However, it appears clear that the majority of state-led approaches notably prefer demand-led projects. Effectively they are creating an agency that focuses on business over local interests. It encourages blue-collar workers to see themselves as blue-collar workers, separated spatially, socially, and politically from workers in white-collar occupations. As Graeme Evans, an urban planning academic, poignantly stated, ‘each story of regeneration begins with poetry, but inevitably ends with real estate’. Therefore this article concludes by suggesting that central city and local authorities must cooperate in waterfront regeneration projects. 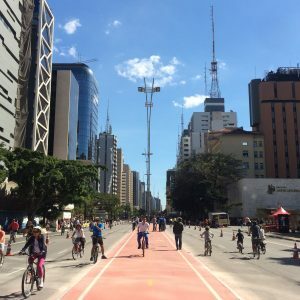 Fundamental improvements in the environment and use of economic resources, while ensuring social inclusivity, appears to be the most sustainable plan of action. Aspects can be learnt from both approaches, but the organic transformation of Buiksloterham presents an excellent example of how urban waterfronts can be developed in a manner which all social groups in the city can benefit from. > Dembski, S. (2013) ‘Case Study Amsterdam Buiksloterham, the Netherlands: The Challenge of Planning Organic Transformation’. CONTEXT Report 2. AISSR programme group Urban Planning, Amsterdam. Northern Irish PhD student, researching the governance of marine environments at Queen's University Belfast.